Pay particular attention to the fact that the Rapture of the saints, the coming of Christ in the air to receive His own, foretold in I Thessalonians 4:14-18 and in I Corinthians 15:51,52 is not mentioned here. God does not let His timetable be known: the rapture of the saints is an event kept secret until it occurs. No one knows or can know when that will occur, and Jesus does not tell or give any hint here as to just when it will occur. In verse 20, Jews in Jerusalem, surrounded by Titus' army, were able to know that the desolation was near. After the Tribulation time (as Matt. 24:29 plainly says) there will be tremendous signs in the sun, moon and stars, and awful trouble on earth, then people will see Christ in His glory coming to fight the battle of Armageddon and set up His kingdom on earth. They will see Him coming in clouds, as pictured in Revelation 19:11-16 and Jude, verse 14, and in Zechariah 14:3,4. Then Jews and others converted in the Tribulation time will see these things begin to come to pass and they will look up, for their redemption from the Antichrist and from the troubles of the Tribulation will be drawing near! SOURCE: Dr. John R. Rice, Luke: The Son Of Man; ©1971, Sword Of The Lord publishers, Murfreesboro, Tennessee; ISBN: 0-87398-767-5. As you just read by Evangelist John R. Rice, the Rapture is not mentioned in our text verses from Luke 21:25-28. This passage parallels Matthew 24:29-51. We are told that the sun and moon shall be darkened, and the stars will fall from the heavens, tsunamis and earthquakes will terrorize the earth, when men shall drop dead of massive heart-attacks from fear. Matthew 24:21, “For then shall be great tribulation, such as was not since the beginning of the world to this time, no, nor ever shall be.” It is AFTER this woeful time of Great Tribulation that the Lord Jesus Christ will appear from Heaven, and set foot upon the earth in Jerusalem. The Lord will defeat the False Prophet, the Antichrist and his armies. Jesus Christ will set up His millennium kingdom upon the earth. Clearly, which you can plainly see for yourself, it is Christ's Second Coming TO the earth that happens AFTER THE TRIBULATION, and not the Rapture of the saints FROM the earth. The Rapture will happen BEFORE THE TRIBULATION!!! I also disagree with pastor Anderson about a Young Earth. I believe and teach an Old Earth, which is Biblical. I certainly don't think it is ok for women to show their breasts in public! Nor do I believe that Jesus went to suffer in the fires of Hell, when He plainly told the saved thief on the cross that very day they'd be together in “PARADISE!” I also disagree with Pastor Anderson that God hates homosexuals, when the Bible plainly teaches “For God so loved the world” (John 3:16a). God hates sin, and he does not accept the person of the wicked, but He still loves them unconditionally. Syndicated radio host, Alex Jones, has been a big supporter of Steven Anderson's PreWrath Rapture theory. They've sold millions of copies of the films, “AFTER THE TRIBULATION” and “THE BOOK OF REVELATION.” I'm telling you THE TRUTH for free! It appears that Alex Jones, Steven Anderson, Paul Wittenberger, Texe Marrs and others are greatly profiting from the sale of millions of videos promoting the heresy of a PostTribulation Rapture, et cetera. 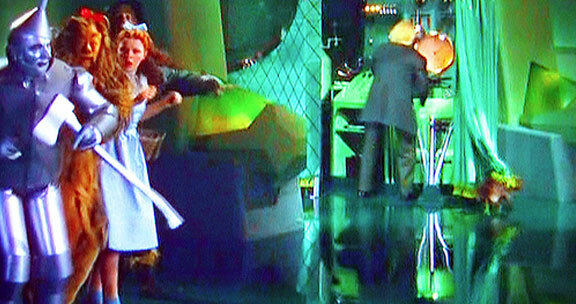 I am leery of anything that makes millions-of-dollars for the producers, because they have a self-invested interest. Steve Anderson's movie “After The Tribulation” is sold on Amazon.com for $20 each. Alex Jones has a net worth in the millions! I've never heard Alex Jones preach the Gospel, or even give a clear testimony that he is a born-again Christian. I have heard him teach works salvation numerous times. I've also heard Alex promote the satanic Catholic church. Alex bashes fundamental preachers all the time! 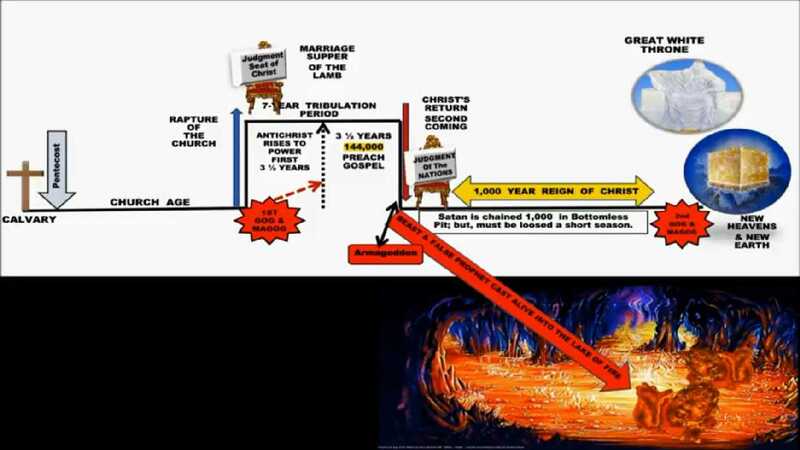 Pastor Anderson teaches what is known as a “PreWrath Rapture.” This is the teaching that the Church will suffer through the Tribulation, but then be caught up (raptured) “After The Tribulation” before God's fierce wrath is poured out upon the wicked unsaved world. Kindly, this is unbiblical. Anyone who says that Jesus is not coming at any moment is teaching heresy! One of the distinctives of the Christian faith is the belief that Christ might return at any moment, without signs, suddenly, imminently and assuredly (Luke 13:32-37). Although the Apostles didn't know about the Rapture, because it was still “a mystery” until later revealed by the Apostle Paul (1st Corinthians 15:52-57), Jesus certainly did know, just as He was able to describe vivid details of the Tribulation period in Matthew 24 and Luke 21. Furthermore, it is a false teaching that God will rapture the saints after the Tribulation, and then no one will be saved during God's pouring out of wrath on the wicked. This presents a big theological problem, because the Bible teaches that there will be humans living during the 1,000 millennial period, when Christ reigns over the earth from the throne of David. Where do those humans come from? Clearly, they would have to come out of the Tribulation period. This disproves any theory of a PreWrath Rapture, where all the saints are removed and the wicked are all destroyed. Again, only a Pretribulation Rapture makes sense. There will be many people saved during the Tribulation period. There will be 144,000 Jewish soul-winners during the Tribulation period. As Brother John R. Rice mentions, the Rapture is an event kept secret. It will happen in the twinkling of an eye, which occurs in just a small fraction of one second in time, when the saints will be “CAUGHT UP” into the clouds to meet the Lord in the air (1st Thessalonians 4:17). 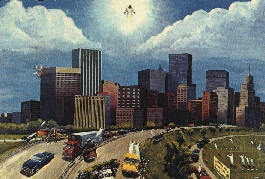 I have noticed at least 32 differences between the Rapture and Christ's Second Coming. The most obvious of which is that Jesus isn't coming to the earth at the Rapture; but rather, we (the saints) will be caught up into the air to meet Him. In sharp contrast, at the glorious appearing of Christ at His Second Advent, He will descend upon the earth, just as He ascended in Acts 1:11, “Which also said, Ye men of Galilee, why stand ye gazing up into heaven? this same Jesus, which is taken up from you into heaven, shall so come in like manner as ye have seen him go into heaven.” No one living upon the earth will see Jesus at the Rapture. Only the raptured saints will see Jesus in the air. When Jesus Christ bodily arose from the dead, only the saints saw Him, including over 500 brethren at once (1st Corinthians 15:6). The unsaved world, and those who crucified Him, did not see Him. Likewise, at the Rapture, Christ will ONLY appear to the saints, not the unbelieving world. So, again, it is plain to see that the events following the Tribulation CANNOT be the Rapture of the saints. 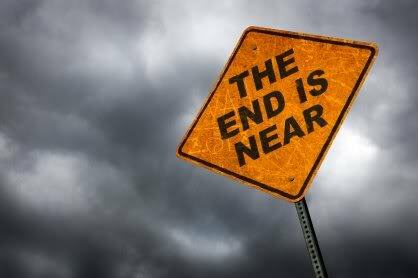 Whereas there are no signs preceding the Rapture, there are intense signs preceding Christ's Second Coming. Whereas the saints are going up at the Rapture, we are coming down with the Lord at His Second Coming. And as you can see in Luke 21:25-28, the Christians (Jews and Gentiles saved during the Tribulation) who've survived the Great Tribulation will be desperate for the Lord's redemption. They will LOOK UP for their Redeemer! Clearly, this cannot be a PreWrath Rapture, as the Lord is already returning in power and glory. This is Christ's Second Coming to fight the battle of Armageddon!!! A mythical “PreWrath Rapture” scenario just doesn't fit into Bible prophecy. I say this kindly, but truthfully. So if Luke 21:25-28 is not talking about the Rapture, which it clearly is not, then when does the Rapture happen? By using deductive reasoning—In view of Daniel's 70th week—And the Abomination Of Desolation (Daniel 9:24-27)—And the 1,290 days from the Abomination Of Desolation to the end of the Tribulation period (Daniel 12:9-11)—And all other prophetic events (such as provision for The Judgment Seat Of Christ, 2nd Corinthians 5:9-11) and Marriage Supper Of The Lamb (Revelation 19:9)—Any honest Bible student can only LOGICALLY conclude a Pretribulation Rapture!!! Why Does Jesus Speak In Confusing Words In Matthew 24? This discourse was delivered after Jesus had left the temple for the last time. It was about the Destruction of Jerusalem, His coming, and the End of the World. Some of His words are so mixed up that it is difficult to know to which event they refer. Perhaps it was intentional. It seems plain that He had in mind two distinct events, separated by an interval of time; indicated by “these” in 24:34, and “that day” in 24:36. Some would explain “this generation” (Matthew 24:34), to mean this nation, that is, the Jewish race shall not pass away till the Lord comes. The more common view is that He meant Jerusalem would be destroyed within the lifetime of those then living. To one looking at two distant mountain peaks, one behind the other, they seem close together, though they may be far apart. So in Jesus' perspective, these two events, one in some respects typical of the other, stood in close proximity, though there is a long interval between. What He said in a sentence may be of an age. What happened in one case may be a “begun fulfillment” of what will happen in the other. His words concerning Jerusalem were fulfilled literally, within 40 years. The magnificent buildings of marble and gold, were so completely demolished, by the Roman army (A.D. 70), that Josephus said it looked like a site that had never been inhabited. SOURCE: Henry H. Halley, Halley's Bible Handbook, pp. 445-446; ©1927, Zondervan Publishing House, Grand Rapids, Michigan. The Bible teaches us as believers to “rightly divide” the Word of truth (2nd Timothy 2:15). We have to carefully dissect the Bible, comparing Scripture with Scripture, to find the correct interpretation. Clearly, Matthew 24 needs further investigation into the Word of God to properly interpret. You've got to study (rightly divide) the Bible to understand it. Please read, After The Tribulation Comes Jesus' Second Coming. The mention of the “Abomination Of Desolation” proves that Jesus was speaking about the Tribulation period in Matthew 24. The Abomination of Desolation is the event when the Antichrist stands in the temple in Jerusalem and proclaims to be God (2nd Thessalonians 2:4). This event happens exactly 3 1/2 years (halfway) into the 7-year Tribulation period. We know that the Tribulation will last for 7-years because the Bible plainly tells us in Daniel 12:9-11. We refer to is as the “Tribulation” because that's what Jesus called the last 3 1/2 years of the Tribulation in Matthew 21:24 (See also Revelation 7:14). The Bible also calls this, “The Time Of Jacob's Trouble” (Jeremiah 30:7). Just as the word “Rapture” accurately describes the saints being “CAUGHT UP” in 1st Thessalonians 4:17; so also does the word “TRIBULATION” accurately describe the troublesome events of Daniel's 70th week. Although the word “Bible” is not found in the Word of God, we use it because it accurately describes God's holy book. If the timing of the Rapture were to occur at any later time, then we would KNOW exactly, down to the very day, WHEN the Lord is coming back! Pastor Anderson plainly teaches in Part 10 of his 22-part series On “The Book Of Revelation” that the saints will be Raptured 75-days after the event of the Abomination Of Desolation (AOD). This is date-setting, which is as unscriptural as can be! Ironically, Pastor Anderson downplays that he is setting any date; yet, he just set an exact time for 75-days after the AOD. This is typical forked-tongue, double-talk used by men who are confused doctrinally on the Bible. I say that respectfully. By the way, I always try to show respect for those with whom I disagree. That's why I refer to Ray Comfort as “Evangelist Ray Comfort” and John MacArthur as “Dr. John MacArthur.” God pity any fool who disrespectfully refers to Dr. Jack Hyles as “Jack.” That is wicked! That's what the heathen world does! I show respect, even for false prophets, because they are still human beings. Even though he's a God hating atheist, I always refer to Stephen Hawking as “Dr. Stephen Hawking.” I think that is proper and right to do. The Bible says in Ephesians 4:15 to speak the truth in love. The truth is that Dr. Roland Rasmussen led Brother Anderson's father to the Lord, and Dr. Rasmussen teaches the SAME EXACT false doctrine of a PreWrath Rapture. While I was a student (1985-1993) at Hyles-Anderson College (HAC), Dr. Rasmussen used to preach at HAC by invitation, until Brother Hyles found out that he denied a PREtribulation Rapture, and then he was kindly informed that he couldn't preach there anymore, to avoid confusing the students. Dr. Rasmussen's camp, so-to-speak, are all PostTrib Rapture. May I humbly make the important observation that the greatest men of God of the past 150 years all believed in a PreTribulation Rapture!—Harry A. Ironside, John R. Rice, Harold Sightler, Jack Hyles, Bob Jones Sr., Lee Roberson, Oliver B. Greene, R.A. Torrey, J. Frank Norris, George W. Truett, Dwight L. Moody, Lester Roloff, Curtis Hutson, Billy Sunday, W.A. Criswell, Charles C. Ryrie, M.R. DeHaan, Merrill Under, Raymond Barber and others—all concluded and taught a Pretribulation Rapture of the saints!!! Amen! Were they all wrong on the Bible? I think not! I like Pastor Anderson's fire, even if it's wildfire. I agree with him on the evils of Zionism. I agree with him on the trustworthiness of the King James Bible, and the satanic modern Bible versions. I agree with him that today's cowardly pastors need to start standing for God. I agree with him on the Gospel, and that Lordship Salvation is of the Devil. But, humbly, I known Brother Anderson is very wrong to teach that Jesus couldn't return at any time, and that the Rapture will occur 75-days after the Abomination Of Desolation. The Bible contains approximately 30% prophecy! Rightly dividing the Scriptures is extremely important to properly interpret Bible prophecy. It would be a mistake to interpret Matthew 24 without taking into consideration the rest of the Scriptures! We know there will be a Rapture of the saints (1st Thessalonians 4:17). We know that Daniel's 70th week will last for 7 years (Daniel 12:9-11). Most theologians agree that the Bible teaches the Church must be removed from the world for the wicked Antichrist to be manifest (otherwise we'd expose him). 2nd Thessalonians 2:6-8a “And now ye know what withholdeth that he might be revealed in his time. For the mystery of iniquity doth already work: only he who now letteth will let, until he be taken out of the way. And then shall that Wicked be revealed...” There is no question that this is a difficult Scripture passage to interpret, but taken at face value it can only mean what it seems to imply, that is, that the influence of the New Testament Church is hindering the work of the Antichrist. Certainly, the Holy Spirit cannot be removed from the world, but His influence through the Church can! It is my humble opinion that “the mystery of iniquity” refers to the ancient mystery religion's plot for world government, which has existed since the Tower of Babel (Genesis 11:7-9). Today, we refer to it as the “New World Order.” Satan has been conspiring for millenniums to unite men together to worship the man of sin, Anti-Christ, instead of God. The Apostle Paul was not ignorant of these things. We see in the Egyptian, Babylonian and all historical world cultures, the ancient mystery religion (represented by the All Seeing Eye of Horus, erected obelisks, The Great Pyramid, et cetera). Bless God... I'm looking for the Uppertaker, not the undertaker! Click Here For A Larger Diagram! THE TRUTH: Jesus may come back at any moment!